The Polaris radio frequency detector technology combines the most advanced applications of GPS and signal processing to locate 121.5 MHz emergency radio beacons. 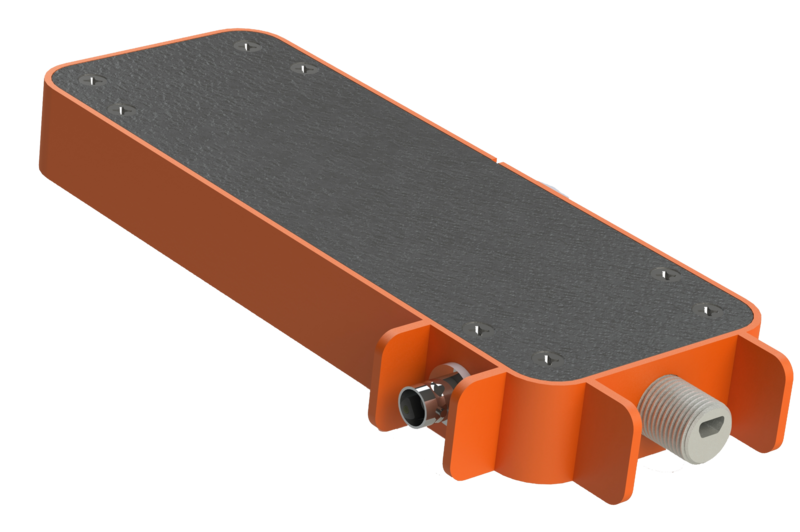 We designed the radio frequency detector to help first responders locate a distress signal quickly and efficiently. Our 121.5 MHz software is an innovative and cost-effective way to reduce the casualties of hikers, hunters, skiers and the like. On average, the typical 121.5 MHz search can take up to 40 hours. With Polaris RDF and its Android application, the search process can be shortened by more than half the time. The software is multi-user friendly and allows several operators to communicate with each other while searching for a signal beacon using the GPS locating mapping system. 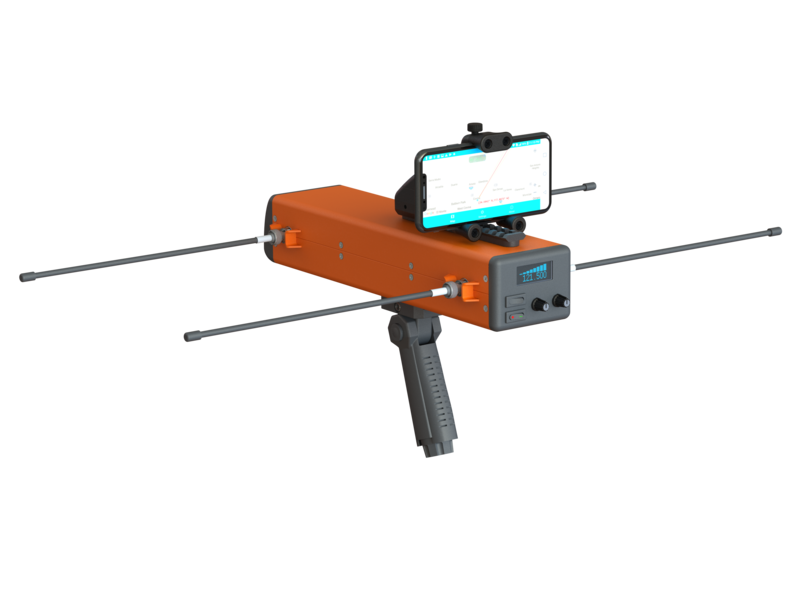 The 121.5 MHz radio direction finding system operates by measuring the distance from where a signal is being transmitted from. Our software system was designed to accurately detect the location of a distress signal within 2.5-5 degrees. 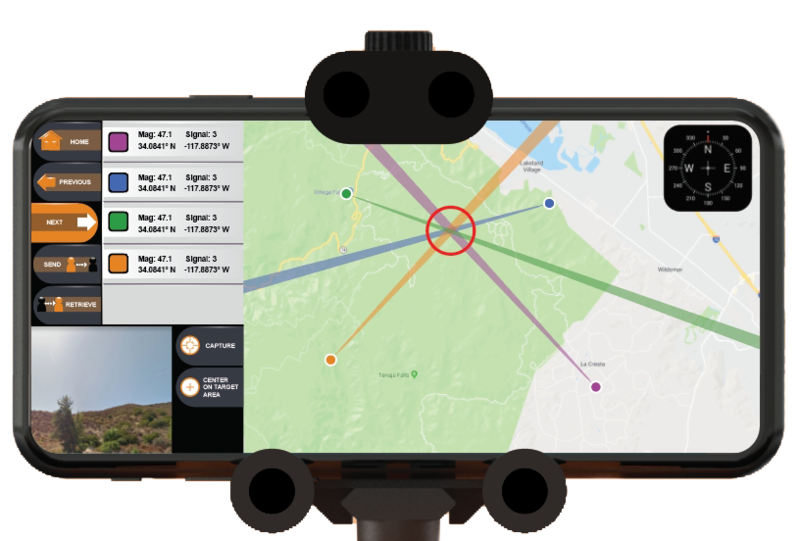 With a subscription to the Polaris RDF system, we offer an Android software system that stays up to date with the latest maps and provides the GPS locations for 121.5 MHz and 406 MHz beacons. We are devoted to providing full-service software and tech support 24/7 for subscribers. The 406 MHz RDF by Polaris is compatible with new Search & Rescue Satellite Aided Tracking (SARSAT), Emergency Locator Transmitter (ELTS), Emergency Position Indicating Radio Beacons (EPIRB), Personal Locator Beacon (PLB), and military beacons. This unique device decodes GPS and other information from 406 MHz data bursts. Usable in handheld and drone configurations, our technological advancements have provided a unique approach to locate distress signals using radio direction finders.